A while back, the lovely Daisy from Wemoto dangled a sample of Star Tron as us and said ‘psst, wanna try some of this?’ Not wanting to appear utterly unhip and under-informed, we immediately agreed although we didn’t really have the foggiest idea what Star Tron might actually be. Something to help Start Ron in the mornings, maybe? 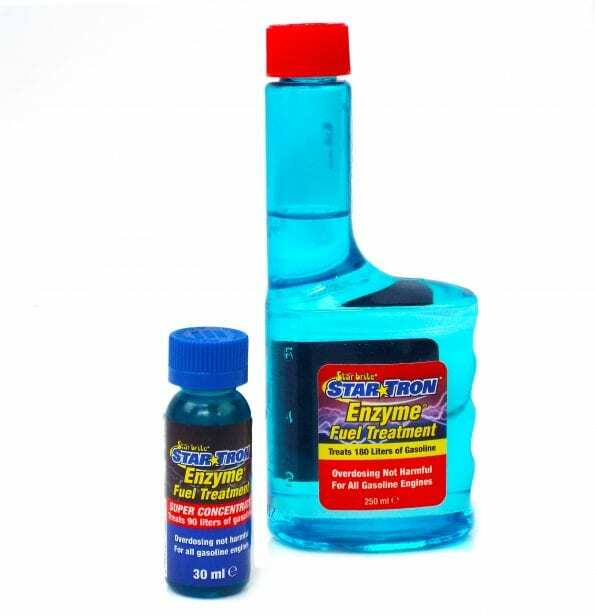 Based on natural enzymes, it keeps your fuel delivery system clean and petrol fresh. Treated with Star Tron, your engine will start up easily and run smoothly. 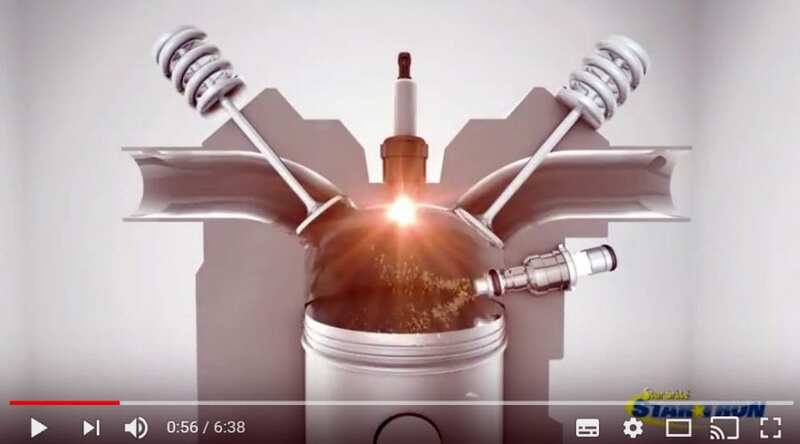 Fuel burns more completely, increasing your machine’s performance while providing great fuel economy and reducing smoke and all other emissions. 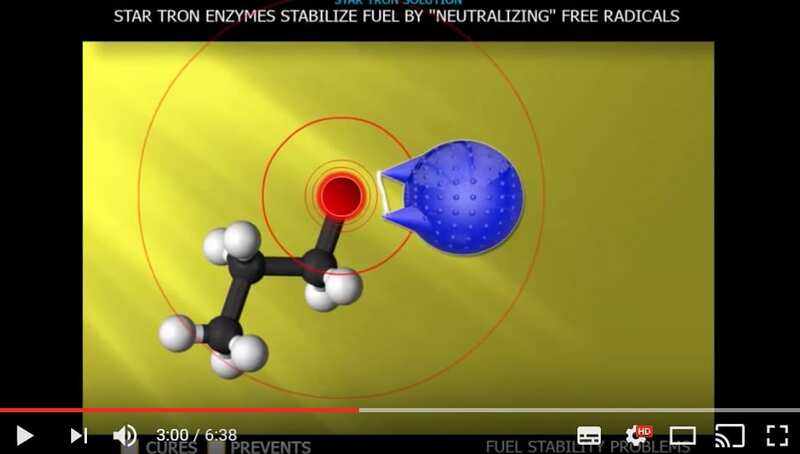 Ethanol attracts moisture and can form an ethanol-water combination which falls to the bottom of your tank. This condition, known as phase separation, leads to gunk forming in your tank. Oh yes, we know all about that. In fact, the bottom has rotted out of our BSA B25 petrol tank – not after 18 years with old petrol in it, but after just a couple of years of holding modern 5% ethanol unleaded, while the rest of the bike was rebuilt. 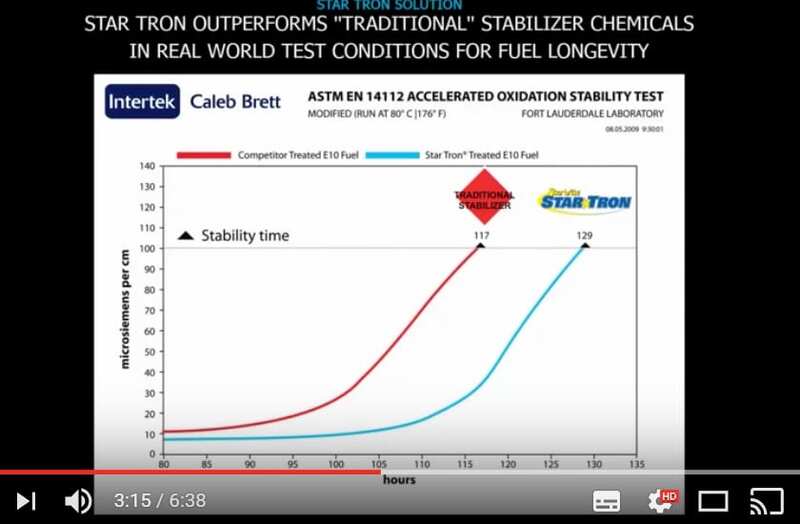 Star Tron not only prevents gum, carbon and varnish build-up that can clog carburettors and fuel injectors, it removes it. It’s also perfect for treating old fuel, making it particularly good for those who choose to put their bikes away for extended periods of time, and can be used as a preventative measure beforehand for greater peace of mind. A little goes a long way, but Star Tron’s special blend of enzymes makes it impossible for you to overdose your fuel. As our old British bikes typically spend most of their time snoozing in The Shed, and only come out for special rides during the summer, this stuff sounds like it could actually be useful. We enlisted a volunteer from the RC readership, who was happy to try Star Tron in a variety of old bikes and let us know how it performed. Enter Rob Wallis. ‘Early investigation with Star Tron have shown no deterioration when it was used in an early 1930s Royal Enfield 250 and a 1965 BSA Bantam,’ reported Rob. ‘The petrol was BP and Shell ordinary unleaded, which was purchased in late February. ‘It’s now four and a half months and there’s no signs of fuel going stale. I’m also using it in my Triumph T100C and the performance is equal to leaded. I am lucky – a local garage sells proper leaded petrol so I can do a reasonable comparison. Yesterday, the Star Tron treated petrol was used in a 1912 Triumph 3.5hp and it ran very well. Thanks for trying out the Star Tron, Rob – glad you could put it to good use. The six-minute manufacturer’s video is informative and accessible. It avoids using London buses, Olympic swimming pools or football pitches as units of measurement, and explains the basics of how Star Tron can stabilise fuel for up to two years. It quotes from several decently reputable tests with some impressive stats. Definitely worth watching. If you use your bike every week and brim the tank with fresh fuel regularly then you’re unlikely to be particularly affected by the rising level of ethanol in petrol (E10, 10% ethanol will soon be the norm in the UK). But if you leave your bike standing with a half-full tank for weeks at a time, then preventing phase separation and water pooling, and lowering the rate of oxidation would be genuinely useful. Likewise, reducing the level of unburned hydrocarbons. And the lower carbon monoxide and NOX emission levels promised by Star Tron mean you can polish up your halo when people complain about stinky old motorcycles! Star Tron is available from Wemoto in a super concentrate form which treats 90 litres of fuel, or a bigger bottle which treats 180 litres. The amount needed to treat a typical three-gallon bike petrol tank costs about a quid.